I haven’t had an update for a while. But I am working on some projects at the moment and I will post some images in a bit. 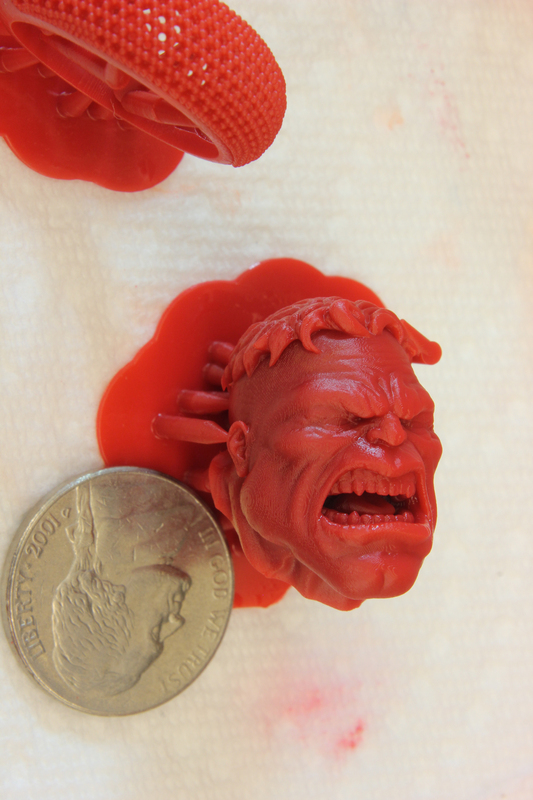 Anyway, here is a 3d print of the hulk’s head (a model that I made a while back). This was printed by Brad Hill on his littleSLA printer. The quality is amazing as you can see. Next to it is a nickel which is about 21mm which means the head is probably no bigger than 30mm but it has captured a lot of the small details. Check out Brad’s website which contains info on his littleSLA kit and other print tests he has made.